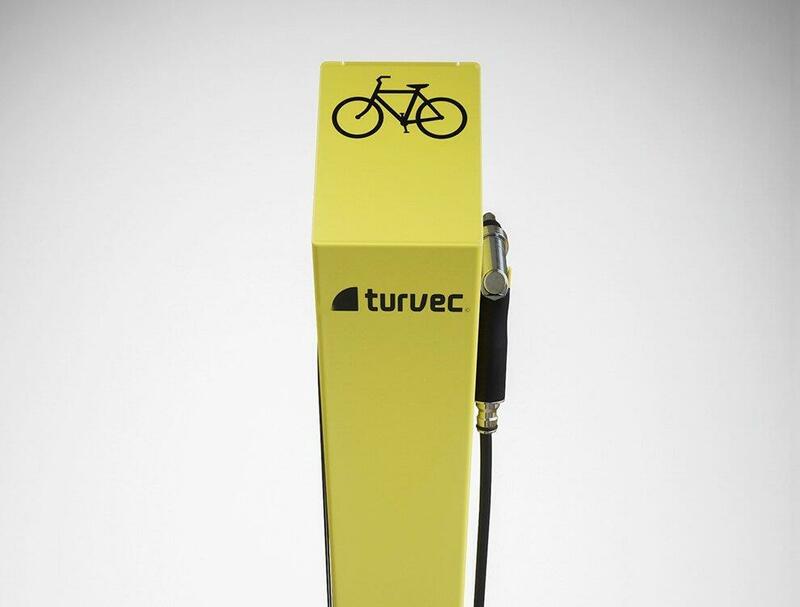 The Turvec bike wash station provides a jet wash to clean bicycles in shared or public spaces. 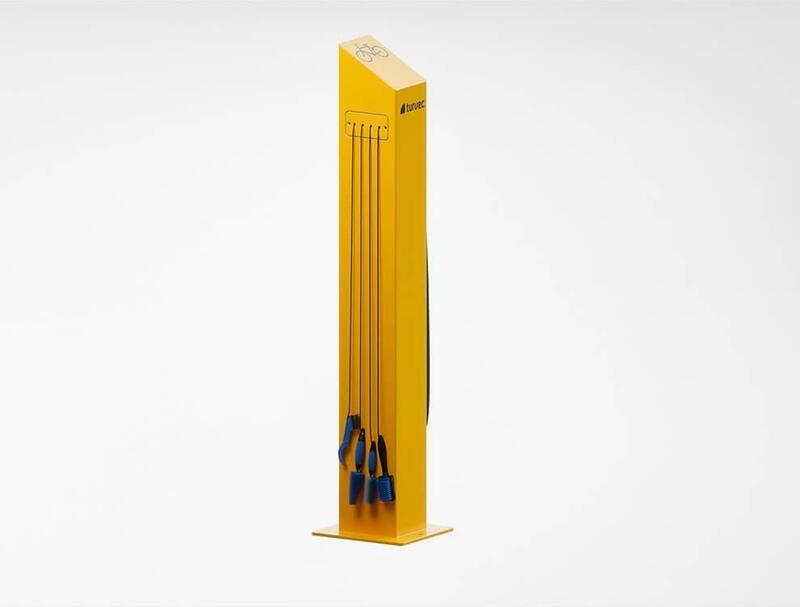 Steel cables attach specialist bike cleaning brushes for removing dirt and a trigger operated jet wash allows for a controlled application of water. 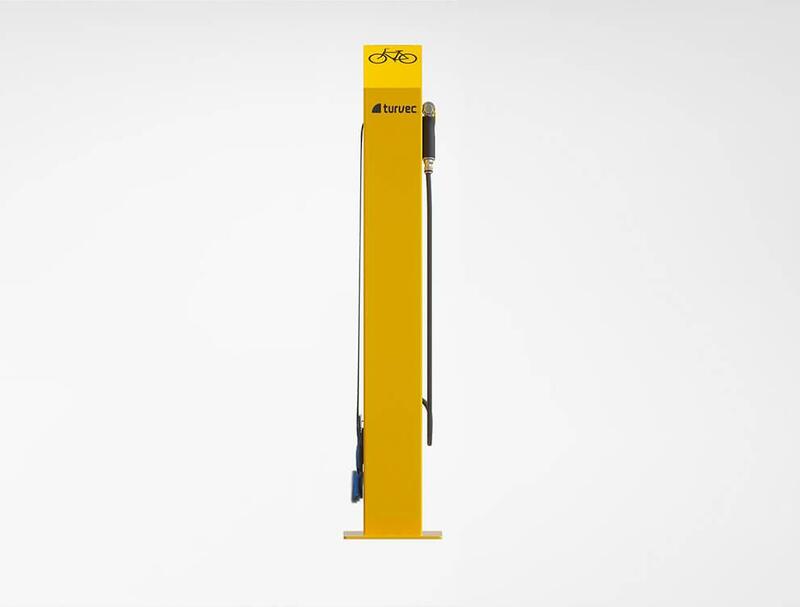 Designed to provide the optimum cleaning pressure with no risk of damaging bicycles, the trigger access ensures the wash cannot be left running when out of use. 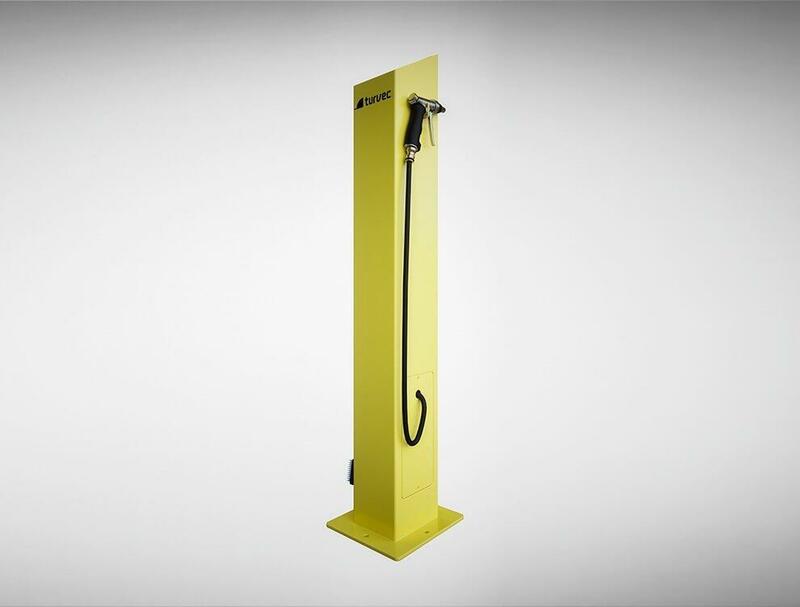 We recommend pairing our wash station with a wheel chock and consider including a bike repair station. 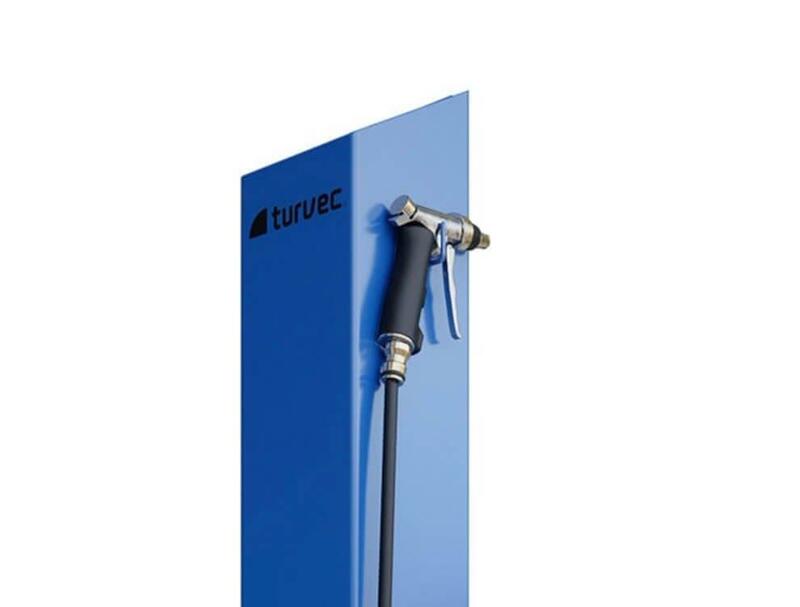 Please note Turvec wash stations require a water source. 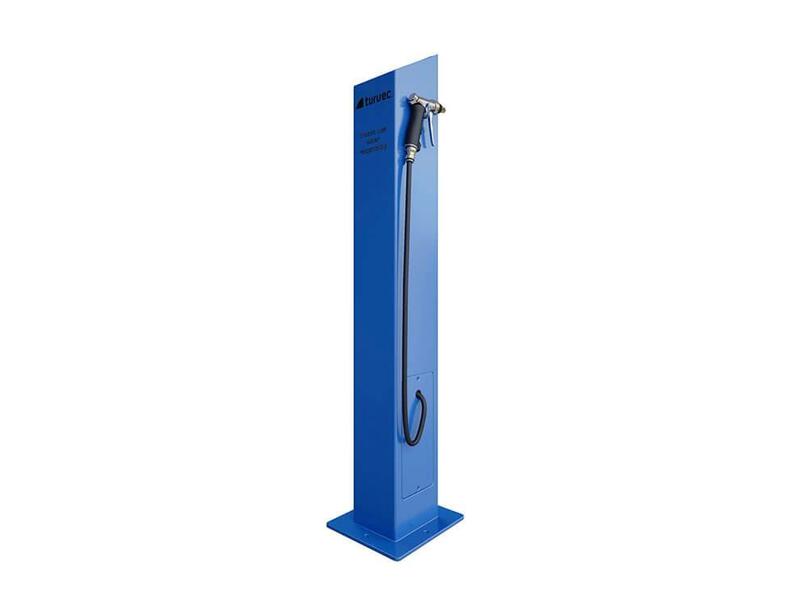 Turvec wash stations are suitable for both indoor and outdoor application. The units are delivered built up and require bolting into a flat, level surface such as a concrete floor or pad. Wash stations require connecting to a water supply through a pipe. 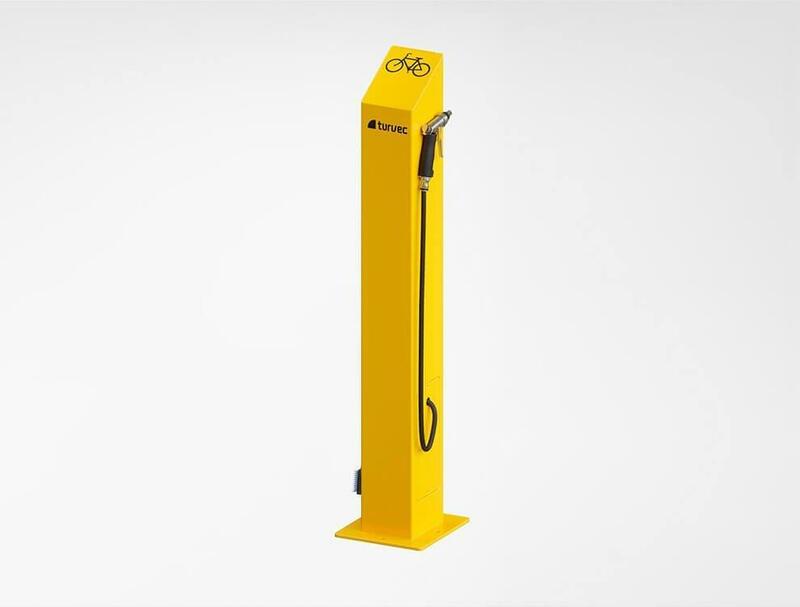 Bike wash stations require a water source and drainage to operate, this should be taken into account when planning for the installation location of a bike wash station. Space to position and move a bicycle should be considered, and we recommend including a wheel chock. to support the bicycle during washing.